Born on 18 March 1986 in Oyo town, Nigeria, Tayo Faniran is a model who represented Nigeria in the ninth season of the Big Brother Africa (Big Brother Africa) 2014 where he came second. Tayo grew up in Nigeria, however, since 2008 he lives in South Africa. He has got a Higher National Diploma in Maritime Studies. 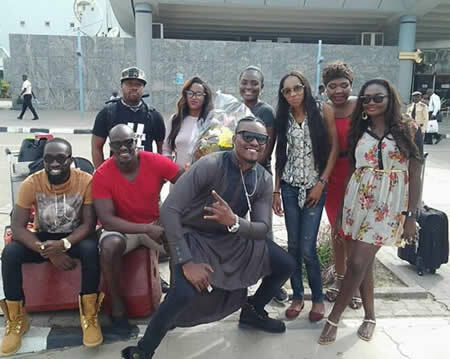 Well, the much loved Tayo is in advanced preparations for his birthday which is only days away and already his friends and also fellow former Big Brother Africa housemates Esther 'Small Pepper' from Uganda and Frankie from Rwanda have already jetted into the country for pre-birthday treats. His blessed with a one year old son Toye who was born to him while he was away at the Big Brother House. Admin thx for the updates but we're is our Talia's beautiful wedding update, she just got married nd she looked very beautiful. Yes pls share Talias wedding pictures.thank u.